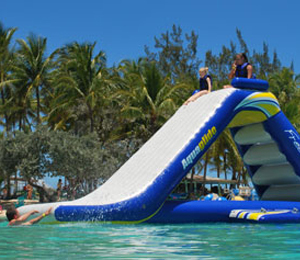 As one of Nassau’s most famous and popular sites, Blue Lagoon Island has been repeatedly voted as the number one Bahamian natural attractions and family activity. 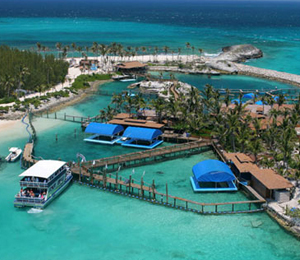 This incredible island has been virtually untouched for centuries, and is often referred to as the “real Bahamas”. The natural vegetation gives this private island the illusion that it has stayed intact from human civilization. After Dolphin Encounters opened in 1993, it started a marine mammal educational program. That same year it underwent a costly extension to the grounds to ensure their dolphins and sea lions had the best living conditions possible. 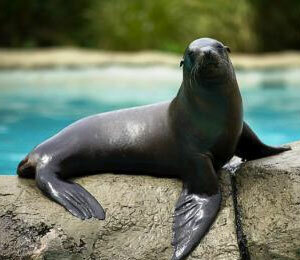 Visitors can interact with these dolphins and sea lions by participating in the different programs that allow families to get up close and personal with the animals. These programs were designed with the visitors in mind and created to make sure they are educational, safe, and entertaining. The dolphins love to show off their latest moves, and love being social with new people. 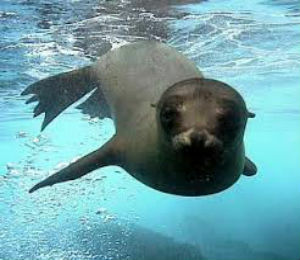 The sea lions have been described as the “dogs of the sea”, and when you see them in action, it’s easy to understand why. 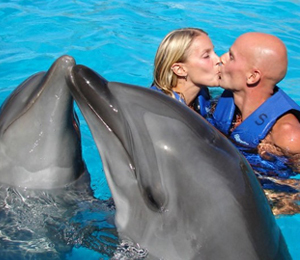 The Dolphin Encounter Experience have set the bar to the highest level as far as animal treatment, and have been recognized internationally for their efforts concerning raising awareness for animal welfare. 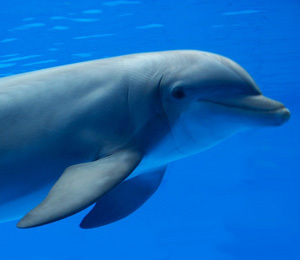 The only Bahamas dolphin scuba diving tour! Departing from Freeport, this dolphin dive delves deep into the world of these fascinating creatures, the bottlenose dolphins. 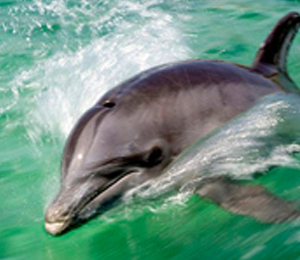 Explore the coral reef alongside especially trained dolphins. 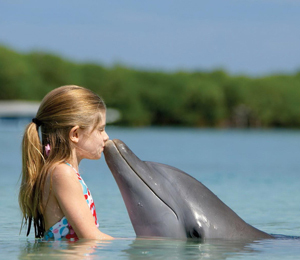 Enjoy a day in the water with the dolphins, learning about these fascinating creatures and interacting with them. 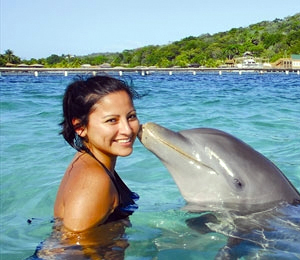 The Dolphin Close Encounter allows you to touch and play with the dolphins in waist deep water. 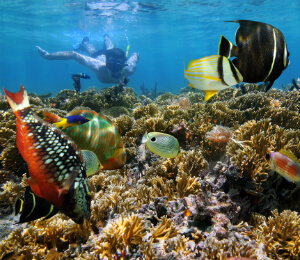 This snorkeling tour is combined with our dolphin experience program so you can get the best of both experiences all in one place during your visit. Snorkel at the brilliantly colored reefs of the Bahamas and hit the dolphin sanctuary for your face to face dolphin experience. 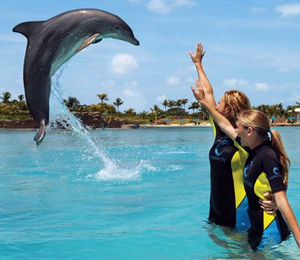 Swim alongside the amazing Bahamas dolphins out in their natural environment! Our boat will take you out to the ocean with our specially trained dolphins for you to experience the fun of playing and swimming with dolphins right out in the wild! 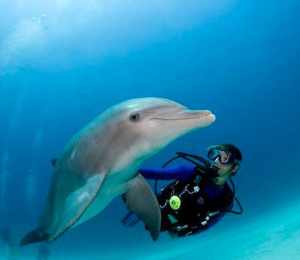 Experience the excitement of actually swimming with the beautiful Bahamas dolphins! Watch them do tricks and hold on tight to their fin as they swim through the waters at heart pumping speeds! Perfect for the whole family!